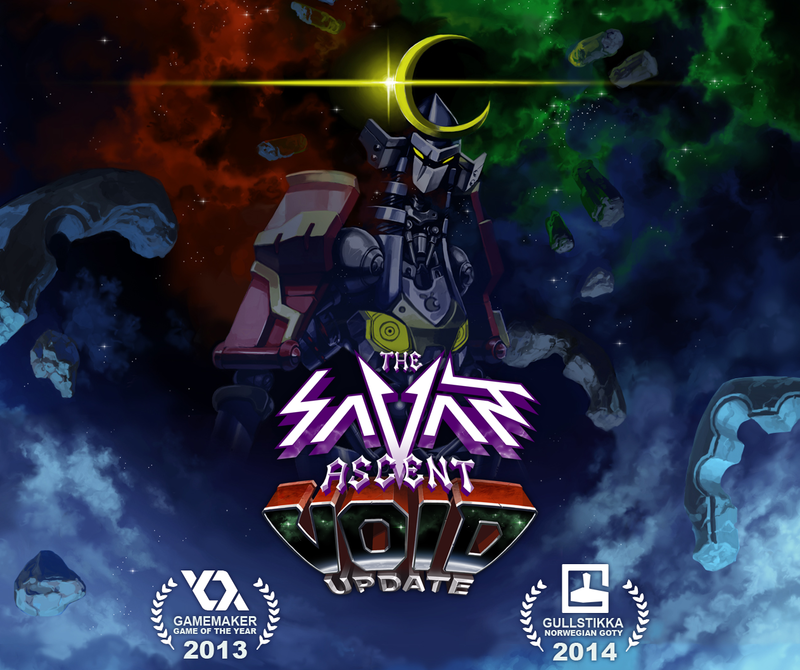 and to celebrate we've put Savant - Ascent up for a 50% sale on Steam and AppStore aswell as making a poster! The time has come to enter the Void! 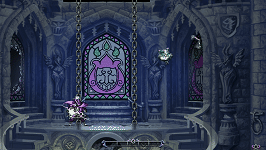 The ultimate foe awaits! Invincible, indestructible, transforming and apple cutting! The free expansion to Savant - Ascent has launched, and it's available on all platforms! 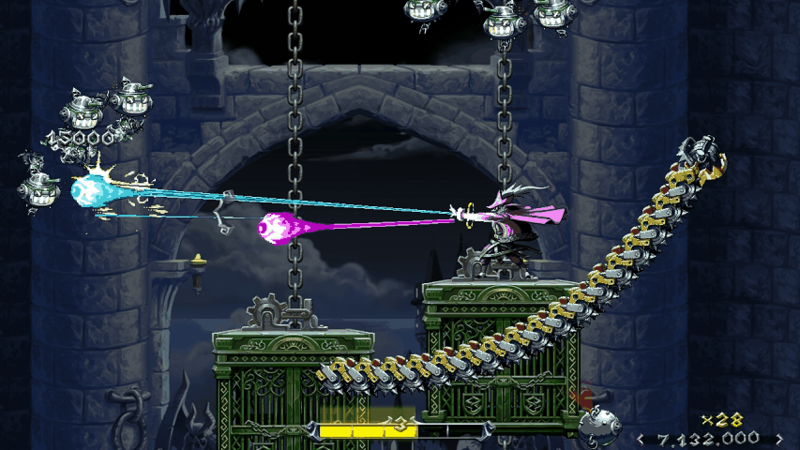 Get the game from Steam (PC, Mac, Linux), the App Store or the Google Play Store! New and powerful foes, including the most powerful of all, the Samurai. 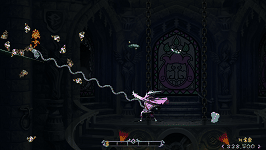 Additional soundtracks and new ability. 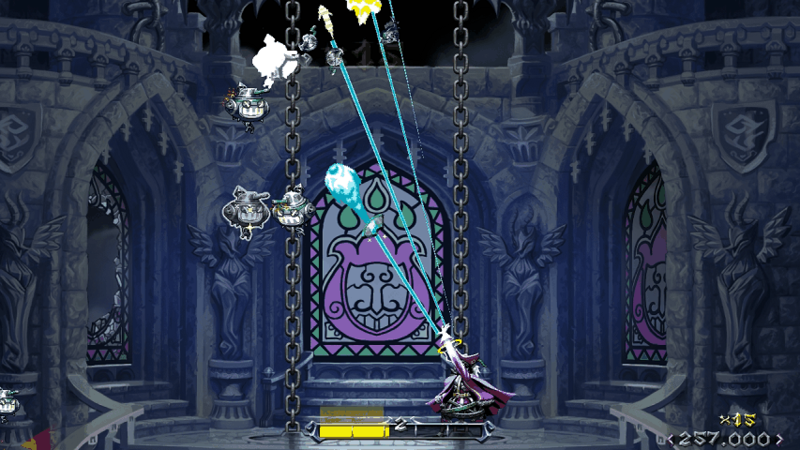 You can now collect 7 soundtracks in total. 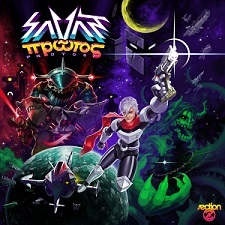 Savant has released his 10th album Protos! This time, he's going into space, together with Samurais and Laser Sharks! Of course, we can't let Savant go off into space, without his game following in his trails, so to celebrate we've got a pending surprise announcement! 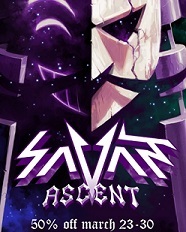 Keep an eye out for the coming update to Savant - Ascent! 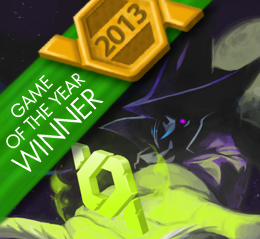 Savant- Ascent won GameMaker's Game Of The Year Award!!! Hurray! 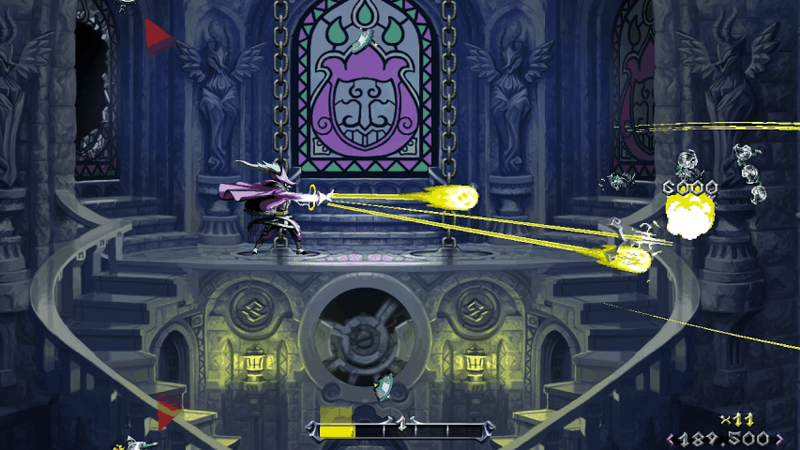 Savant - Ascent was made using GameMaker over the course of the summer in 2013, and was featured on GameMaker's Showcase after launch. 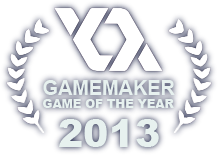 It is again featured on GameMaker's Showcase, this time as Game Of The Year! 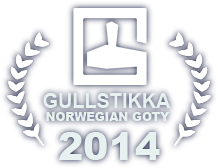 We are very honored, and want to thank all of Savant's fans for they're massive support! We're hoping we can repay you're dedication very soon! 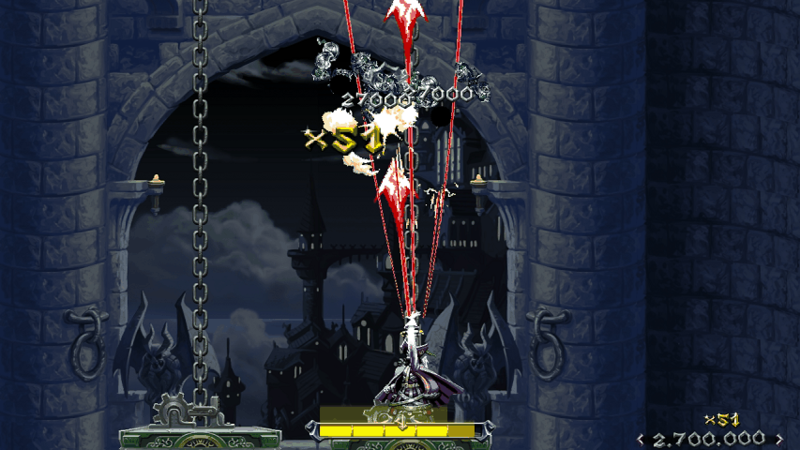 We're still working on adding more functionality to the game, which will include Achievements, Highscore Tables, etc. for all versions, in addition to new tracks, abilities and down the road we hope to adding more content like levels, modes and challenges(all additional future content will be free of charge). Make sure to keep an eye out. 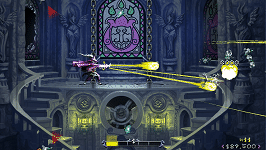 Savant - Ascent is slated for release on Steam on the 4th of December. Along with the release, we've added a couple of new features, which will also be added to other versions of the game (Humble Bundle, iOS, Android). 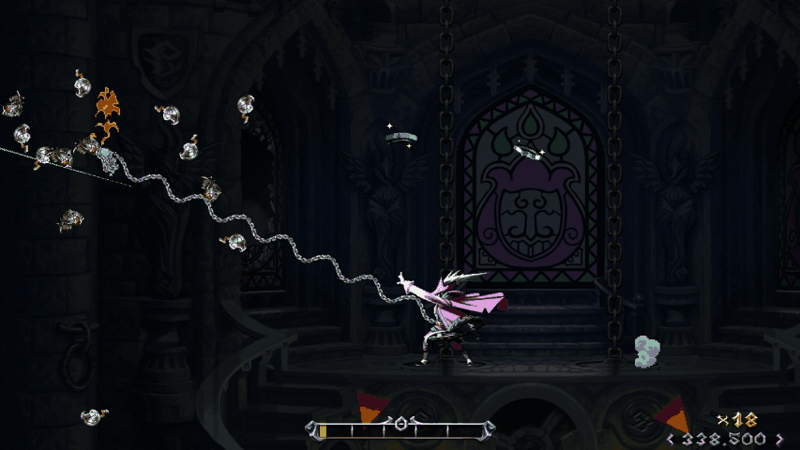 Resolution options, fit the game to your screen (max resolution is 1680x1050). New control scheme using virtual pads and buttons (only on Android and iOS when available). D-Pad is proud to announce that we will be displaying Savant Ascent, Owlboy, and more at Stand Indie 2013 as part of SpillExpo. 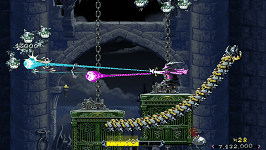 In addition to being able to play the games live, there will also be some new announcements regarding new release platforms for Savant Ascent. For more information about Stand Indie, please visit www.standindie.com. 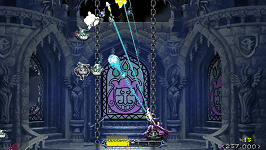 Savant - Ascent v 1.0.0.40 released 18th of August 2013. 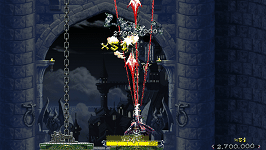 Endless mode - Never ending elevator ride surrounded by more and more enemies. Savant is currently working on a new album. Labelled Orakel, it's slated for release the 12th of November 2013 and new artwork is being provided by Simon S. Andersen, Art Director of D-Pad Studio. 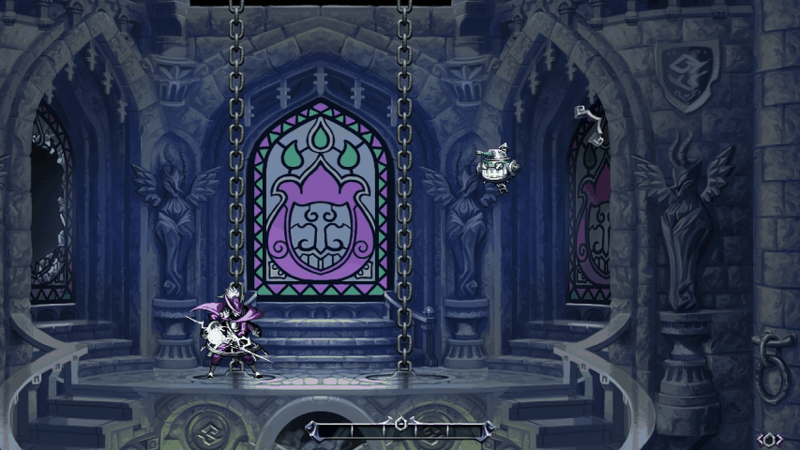 More info at Savant's official site.